Look below for up-to-date Buckhead homes for sale & Atlanta GA neighborhood! It’s hard to assign one word that perfectly describes Buckhead. ‘Regal’ would be a good term to use to consider the sprawling, densely forested estates that line Tuxedo Road and West Paces Ferry. ‘Cosmopolitan,’ too, would be an apt descriptor for the unparalleled shopping opportunities and exceptional restaurants that are clustered in the center of this neighborhood. How about ‘lavish:’ that would lend itself to the towers of glass and steel that house some of the city's most prominent businesses and affluent citizens. In fact, ‘affluent’ almost hits the nail on the head. Almost. For more information regarding Buckhead properties for sale in Atlanta or to organize a private showing, contact your Buckhead real estate professionals today. Thinking about the purchase of a home in Buckhead? Contact The Keen Team, your local real estate agents, for comprehensive help in the real estate market near Buckhead, Atlanta. Call us at (404) 270-9374 today! If you’ve heard anything about Buckhead (and at this point, you probably have), you know that it’s the area of the city that’s sparkling, spit-polished, and ready to take on the world with a cocktail party/corner office sense of couture. But in Buckhead’s case, ‘rich’ takes on a meaning that stretches far beyond luxury: despite the accouterment, there’s a richness of character underlying the luster. This is still the South, after all, where hospitality reigns supreme, and where friendships come easily; it’s not too surprising, then, that diversity of lifestyles are embraced in this, the largest district of ITP Atlanta. Let’s be clear: Buckhead is huge. It’s actually a collection of 42 distinct neighborhoods, which contain the entire swath of Atlanta life, from towering skyscrapers to quiet neighborhoods, and everything in between. The majority of this district is located north of the Connector, between I-75 and I-85, and stretches northward for miles. The northern border, more or less, lies about two miles south of the I-285 Perimeter. All that being said, when people think of “north Atlanta,” they’re generally thinking of this part of town. 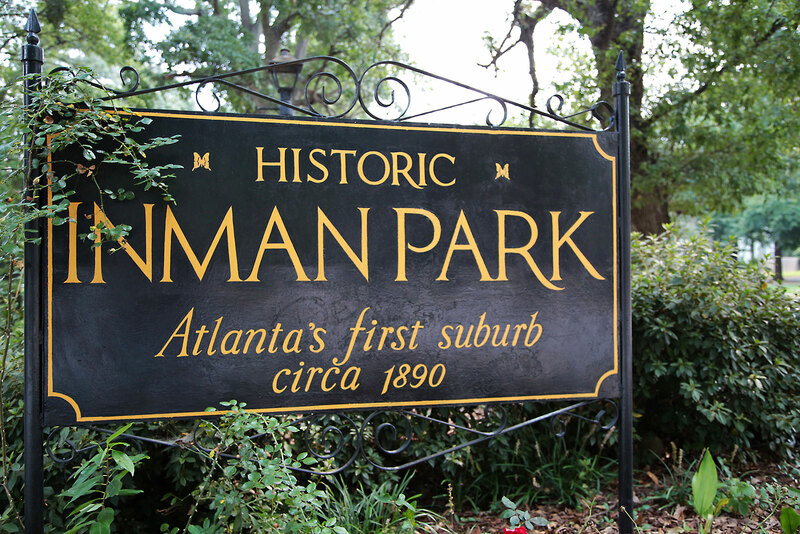 In an area as large as Buckhead, it makes sense that there’s a pretty wide variety of green space, from tiny parks to lavish, forested fields (not to mention a few hiking trails, if you know where to look). We’ve already said that Buckhead is pretty large, especially when compared to a lot of the other neighborhoods we’ve talked about. 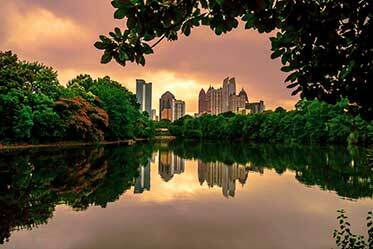 But when most Atlantans refer to Buckhead, they’re typically referring to the neighborhood of Buckhead Village, which is located in and around the intersection of Piedmont Avenue and Peachtree Road. It’s here where the skyscrapers, malls, luxury condos, and famous restaurants can be found. Visitors who haven’t been to Buckhead (especially Buckhead Village) since the early 2000s are going to be in for a surprise. Back in the day, this was the part of town people visited for a some pretty crazy nightlife offerings. Today, this historic part of Buckhead has become populated with luxury shopping, high-end restaurants, and some polished residential accommodations. Some big names in nightlife have withstood the test of time, but those opting for the velvet rope tend to head to the swank clubs in Midtown. An exceptional local school system has made Buckhead a look-here-first destination for families, with four elementary schools, one middle school, and one high school mixing in with private options. It’s not too difficult to get lost on the meandering backstreets of Buckhead (and for architecture buffs and home hunters, it can be a pretty fun experience). We could take up a whole page listing all the surface streets in this district, but if you need to get your bearings, West Paces Ferry Road and Peachtree Road crisscross through the center of Buckhead. I-85, I-75, and the Connector all either run through or buck-up against Buckhead. The Perimeter isn’t too far away, either—it’s easy to get there if you take Roswell Road north. And then, there’s Highway 400, a toll road that provides a multi-lane straight shot from the Perimeter to I-85 (this highway continues northward, too, out into the countryside). There are a few MARTA rail stops that run north/south through the center of Buckhead, granting access to some of the most popular neighborhoods in the district. On the south end, located at the northern end of the Connector, there’s Peachtree station; next stop is Lindbergh Center; and then, there’s Lenox Square station, which provides access to Buckhead’s heart. Yeah, malls. Everybody’s got malls. But in the cases of Lenox Square and Phipps Plaza (located practically across the street from one-another), it’s a little different. Lenox Square is enormous, and contains one of the biggest varieties of shopping in the South. Phipps Plaza, meanwhile, is all about luxury, with some of the most exclusive brands on the planet represented. Both are located on Peachtree Road, a few blocks east of the Piedmont Road intersection. A perennial fixture on any “Atlanta’s Best Restaurants” list, this classically inspired French eatery features a lavish menu, an incredible wine selection, an in-house charcuterie, and fabulous Peachtree-front balcony dining. Interested in buying a home in Buckhead? Give our Atlanta real estate experts the opportunity to guide you through the purchase of your next house or the sale of your current residence. As local real estate agents, we have insight on the dynamics unique to the Buckhead housing market. Connect with The Keen Team for information on representation for buyers and sellers in Buckhead. 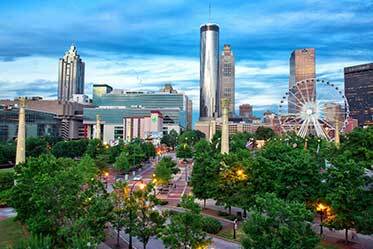 Considering the sale of your Atlanta property? Receive a Buckhead property value analysis with the help of our CMA page!